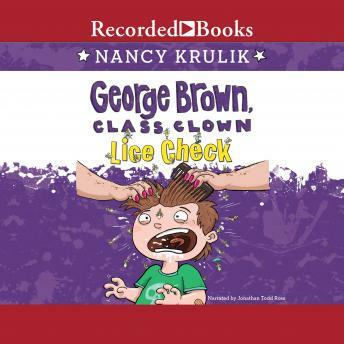 Head lice have invaded Edith B. Sugarman Elementary School, and George wants nothing more than to remain scotch-free from the vermin. Well, that and he wants his dad's booth at Career Day to be infinitely more popular than his enemy Louis Farley's dad's booth. He even bet his skull ring for Louis's wheelie sneakers to prove his dad's job is cooler. But when it comes to the day of the event, George isn't so confident he will win the bet . . . or stay lice-free!